Mindscan Software provide MS.Net 2010 internship training program. .Net is a Framework enables a developer to create console, Web, Windows, Mobile application. It supports the object-oriented programming model for multiple languages, such as Visual Basic, Visual C#, Visual C++, .NET supports multiple programming languages in a manner that allows language interoperability. Our Trainer provide training on latest .Net framework Visual Studio 2010 to explore the feature of MS.Net 4.0 and what are the new implementation done by the Microsoft like Metro UI Development Support, Game Development Support, HTML5/CSS3 Support, Semantic Code Analysis.Our Specialist Trainer trained to the students in these new technologies. In Visual Studio 2010 internship training program course we cover console application with C#, Windows, ASP.Net, Website Configuration, Web service, WCP, WPF, LINQ, Entity Framework, Silver light and after covered this syllabus student will be develop two project one mini and major project with live implementation. We provide Microsoft.Net 2010 internship training program according to current Market Demand. Our Specialist Trainer conducts the class and explores new ideas and experience with current marketing. 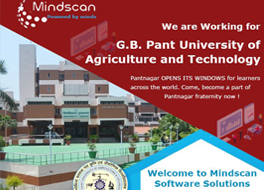 Mindscan Software Solutions Pvt. Ltd. one of leading institute in the field of Microsoft Visual Studio 2010 training in Delhi.